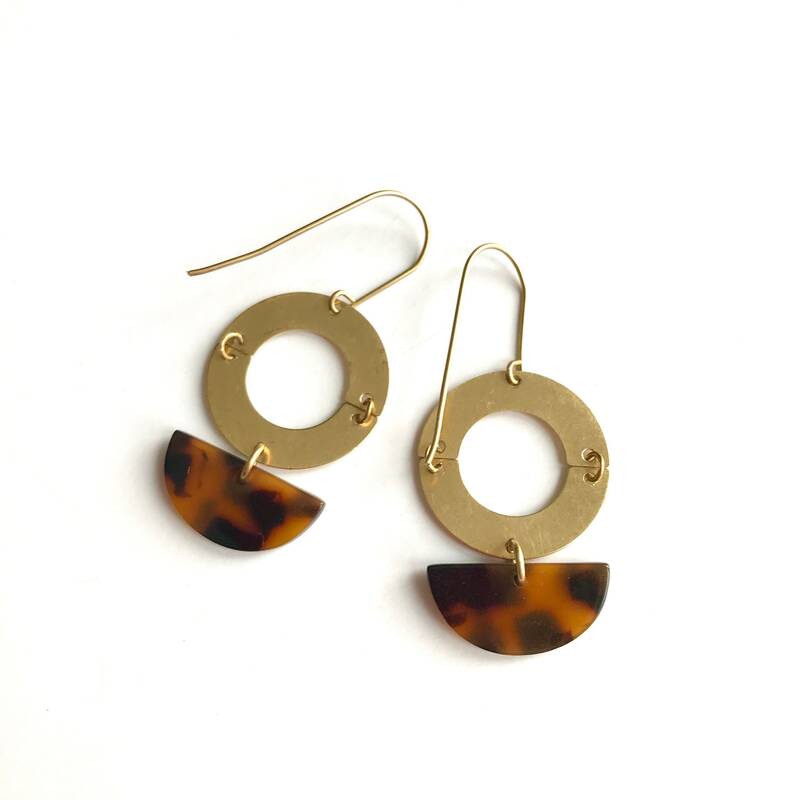 Modern and trendy earrings made with a cellulose acetate (tortoise shell) and brass components and hooks. Metal components are raw brass. It will get darker with time but will not leave stains on your skin. 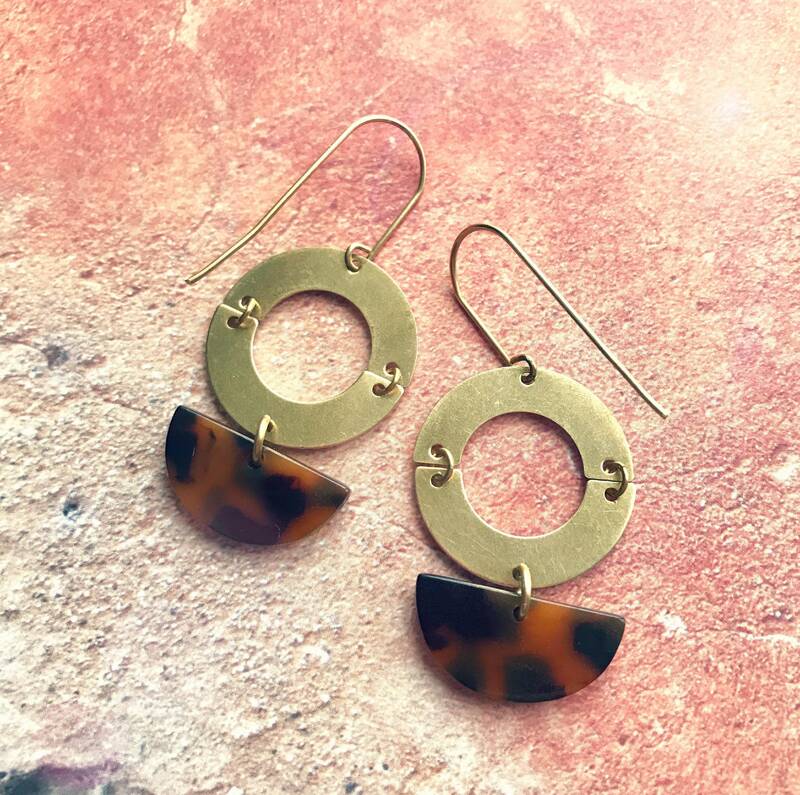 You can either let the earrings get a vintage look or rub them softly with tooth paste and they will keep their beautiful golden color! 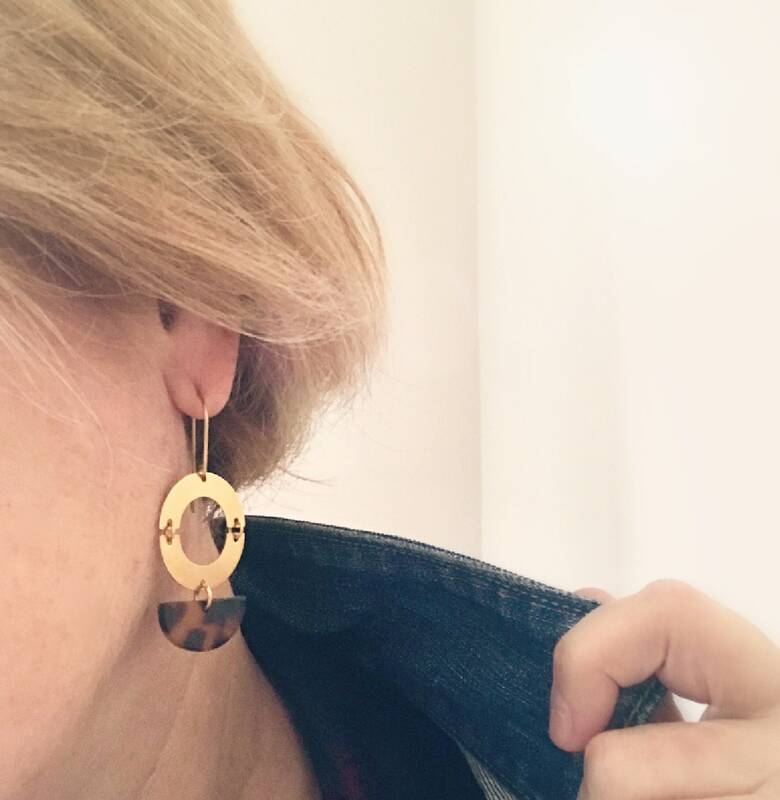 Simply put a little tooth paste on your fingers and rub your brass earrings. Rinse them thoroughly and dry them carefully. Total length (including hooks): 5.5 cm or 2 1/8 inches.